The body of a woman reported missing last month has been found in a partially secluded location in Athens. On August 8, 2018, Diana Lynn Musella, 75, of Athens, called her sister and said that she had become lost while driving. Musella stated that her car had somehow become disabled and that she was disoriented and unable to provide her location. After several attempts to locate Musella herself, her sister contacted law enforcement. Police initially attempted to locate Musella through cell phone data but received unreliable and inconsistent information from the cellular provider. 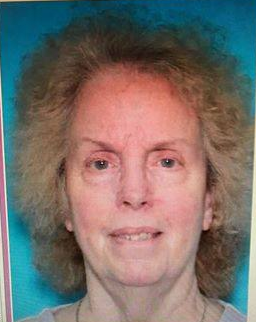 Officers from the Athens Police Department, Henderson County Sheriff’s Department, and the Texas Department of Public Safety searched the immediate and outlying areas but were unable to locate her. A state-wide Silver Alert was issued but failed to produce viable leads. Shortly after 10 a.m. on Saturday, police were called to a business located in the 600 block of W. Corsicana Street in Athens. An employee of the business reported finding a vehicle partially wedged in a small area behind the building which was not visible from adjoining streets. Officers found Musella in the driver’s seat. A preliminary investigation indicates that Musella drove the car behind the building where it became stuck and unable to move. The doors of the vehicle could not have been opened due to being obstructed by a fence and air conditioning units to the business. Although no foul play was suspected, Henderson County Justice of the Peace Milton Adams conducted an inquest and ordered an autopsy. Part of the continuing investigation will be attempting to determine if Musella had suffered a medical condition on the day of her disappearance which may have contributed to her confusion and her inability to effectively communicate.